our 2019 CSA is full! 20 weekly boxes of organic fresh vegetables, herbs and occasionally fruit that equals approximately one-third of a grocery bag. Members can expect 5-8 different items in their box throughout the season. This sized share is ideal for 1-2 people depending on eating habits; generally has fewer obscure vegetables. 20 weekly boxes of organic fresh vegetables, herbs and occasionally fruit that equals approximately one-half of a grocery bag. Members can expect 6-12 different items in their box throughout the season. This sized share is great for 1-4 people depending on eating habits. 20 weekly boxes of organic fresh vegetables, herbs and occasionally fruit that equals approximately one grocery bag full. Members can expect 8-14 different items in their box throughout the season. This sized share is easily consumed by a household of 2-6 depending on eating habits. Two large winter storage boxes filled with primarily storage vegetables like organic carrots, onions, beets, squash and potatoes as well as some perishable items like spinach, leeks, Brussels sprouts and kale. This year's shares will be delivered on Tuesdays, Oct. 22nd and Nov. 5th, 2019. *See pictures below for share sizes. In general, we try to fit in at least 4 staples each week: leafy crop (salad mix, head lettuce, spinach, arugula, kale, etc. ), an allium crop (scallions, onions, leeks, garlic, etc. ), a root crop (beets, potatoes, carrots, etc.) and a quick snack crop (peas, carrots, radishes, peppers, etc.). The rest of the weekly items are dependent on our wonderful, Wisconsin weather! On-farm events exclusively for CSA members. Some examples include work days, tomato tasting, farm tours, harvest party! 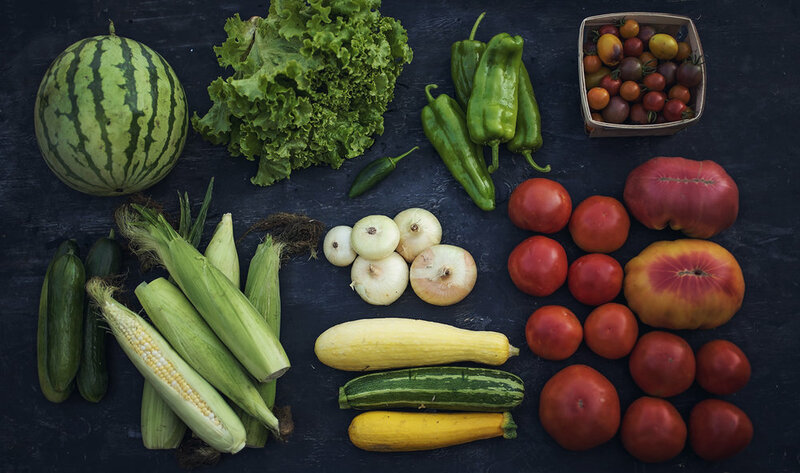 First-serve access to other farm products: organic fruit, pastured pork and heritage chicken, cut flowers, bulk produce for preserving and other seasonal farm products. Please read our CSA Member Handbook before signing up for a CSA share.